A few years ago, I spoke with a friend after his conversation with colleagues quickly became a debate. When asked about it, he was defensive, told me he was right, and said he won the argument. This is a good person, generally liked by all, yet his career was not moving and people were not lining up to partner with him. When he finished, I asked, “What do you lose from winning?” He looked at me a bit confused. Then I said, “Have you considered what you might win by being able and willing to lose?” It took a few seconds before he realized I was serious. We spent the next 30 minutes talking about why winning had become important to him, and how he felt when his ideas were challenged, while the argument was in process, and when it was over. Surprisingly, he did not feel victory; he felt relief. We then discussed how he wanted to feel, and he was given a challenge. The Challenge: avoid all arguments for two weeks. When questioned about ideas or projects, he was to take a breath and, without reacting, examine what was actually being said, and respond. It was now his job to be open, listen carefully, diffuse, and find any valid, valuable points the other person was sharing. Three weeks later, he called and told me how difficult it had been. He then shared the positive reaction he received the first time he tried it at work, and how he had since been invited to lunch by two different colleagues and asked to partner on a project. It had also been every bit as successful with his family. The most dramatic change, however, was how he felt. The anxiety he had carried with him had decreased noticeably, he felt more accepted and connected, and was now enjoying meetings with his boss. Wisdom trumps logic when it comes to winning. 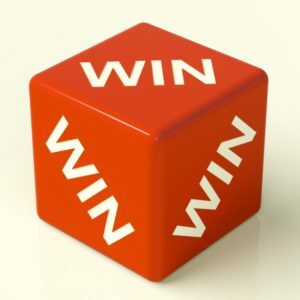 We need to consider each win, and understand that not every win accomplishes something of value, puts us in a better position, leads to respect and appreciation, or makes us feel good. When we understand this simple powerful idea, you will have a more opportunities to win when it matters.